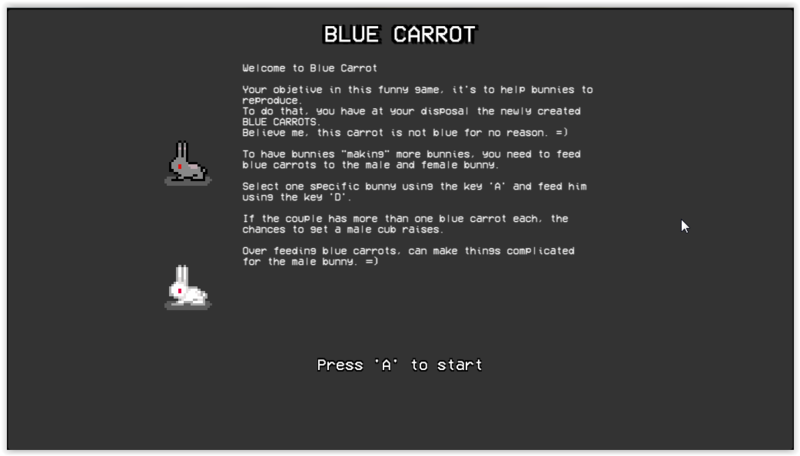 A game where you need to use "Blue Carrot" to help bunnies to "make" more bunnies. 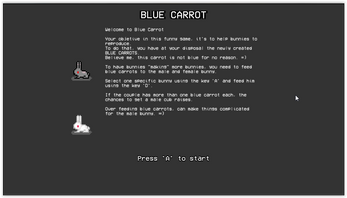 (Yeah.. the blue carrot has this intention =) ). 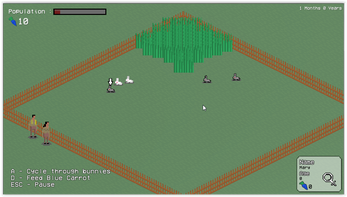 They will do that, it's to feeding Blue Carrots to Male Bunnies and Female Bunnies. 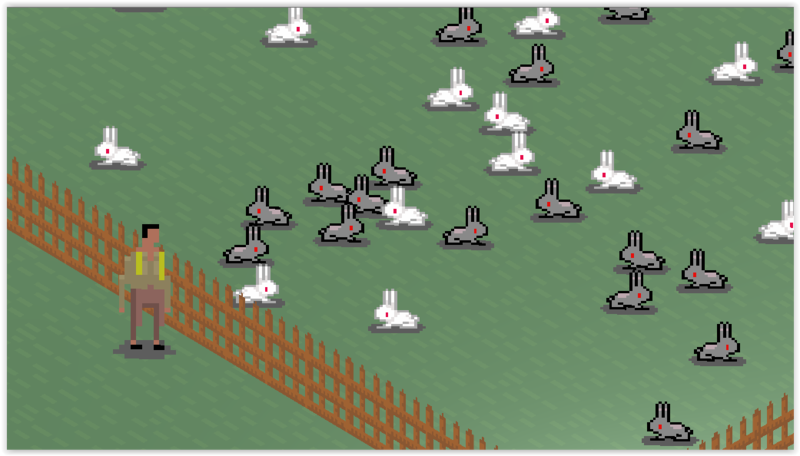 And if they are close from each other, they will get some good time inside the grass, enjoying the effect. 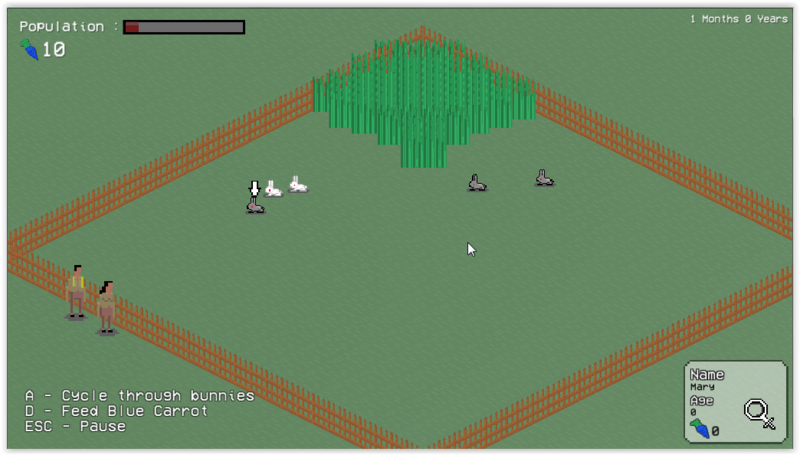 Do not overfeed the male bunnies with the Blue Carrot, or this could have impacts. 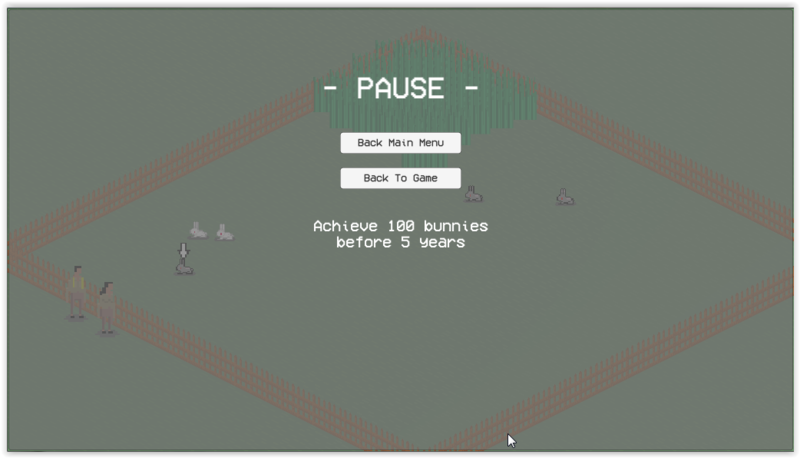 Achieve 100 bunnies before 5 years, and beat the game. 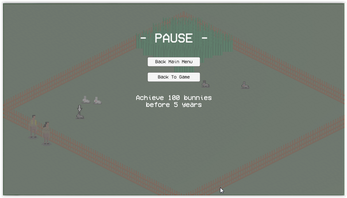 You will use two keys to play this game. - Download the zip file.